All Posts / Our Championships / Competing teams at the 2012 Ford World Women’s Curling Championship are confirmed! 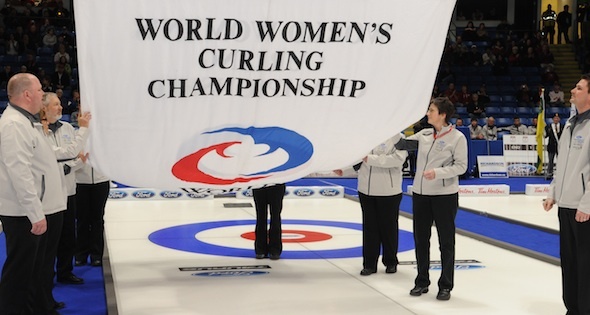 Competing teams at the 2012 Ford World Women’s Curling Championship are confirmed! We now know all 12 nations which have earned the right to send teams to Lethbridge, Alberta for the 2012 Ford World Women’s Curling Championship. After a week of play in Moscow at the European Championship, Scotland, Sweden, Russia, Denmark, Germany, Italy, Switzerland and the Czech Republic can all count on sending their finest women’s curlers to Canada in March. They all earned the right as the top eight finishers in that tournament’s “Group A” event. They will join China and Korea, whose teams recently advanced through the Pacific-Asia Curling Championships as well as foursomes representing the United States and Canada. Eve Muirhead led her young team to Scotland’s first women’s European title since 1975, when she upended the previously unbeaten Swedish squad skipped by Margaretha Sigfridsson by a score of 8-2 in the final game at Moscow’s Megasport Arena on December 10. A Russian team skipped by Anna Sidorova captured the bronze medal with a 13-7 victory over Denmark’s Lene Nielsen. 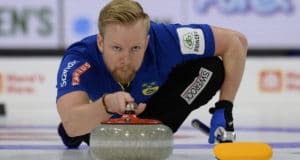 Sweden’s Sigfridsson and Russia’s Sidorova will likely be on hand in Lethbridge as they come from countries where a team selection process determines international championship participants. 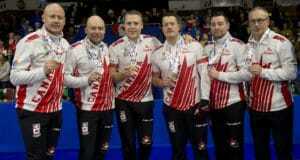 Scotland’s Muirhead and Denmark’s Nielsen must return home and earn the right to wear their respective country’s colours by winning national championship honours. Norway, which ranks third on the all-time medals list in women’s world championship play, will not be adding to their count at the 2012 Ford World Women’s Curling Championship after failing to advance through the European play downs. After finishing with a disappointing 3-8 mark at last year’s world championships, Linn Githmark could only salvage one win in nine games in Moscow. As a result, the Norwegians are relegated to “Group B” play and will have to battle their way back to the world stage. Meanwhile Italy, which has been absent from the women’s world shootout since 2009, earned their spot in the 2012 championship field after Diana Gaspari led her charges to 4 wins and a sixth place showing in Russia. On the journey to Lethbridge and the 2012 Ford World Women’s Curling Championship, this site will keep you apprised of national play down developments as they occur across the globe.